Wanna See What I Bought on Rudolph's Day???? It's Rudolph Day!!! 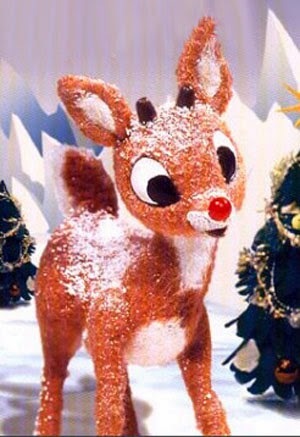 The 25th of every Month is Rudolph Day!! And thanks to all who linked up to Fluster's Creative Muster's Linky party which I got to Co Host as a result of the Post on Anne Marie's Home decorated for Christmas being the Most Viewed from the previous week's party!! Thanks so much , Robin!! She even made me a Button for A Debbie-Dabble Christmas!! Check it out on my Side Bar!!! I am half way through visiting all the participants of the party so please be patient with me and I will eventually get to visit all of your posts!!!! When seasonal decor does not sell at 90% off, they make up grab bags for $2.00 each to get rid of it. I bought 6 bags for $2.00 each, spending $12.00 on the bags. Now I knew that there was a lot of Kid's things in the bags but I figured that I would take my chances and give the Kids stuff to a Co Worker of mine who has 4 grandchildren. Her daughter has 3 of her own, adopted one that she fostered and currently is fostering another little girl and may be adopting her and her baby sister. It takes a special type of person to do things like that. Plus she works for the local School District in the library. She has a Master's Degree in Library Science. Definitely worth the $2.00. I knew these were in that bag!!! LOL! The cards and the clothes pins for Crafts were again, worth the $2.00! What the heck is a head massager??????? I will be trying it on Joe!! LOL! And this is a Bottle Cozy, perfect for my water bottle! Now what the heck are the chances of me buying a Grab Bag containing a stocking with a D on it ?????? Lots of goodies in that one too!! All in all, I think I got my monies worth and I am sure that my Co Worker will be thrilled with the goodies that I will be bring her tonight for her grandchildren!! 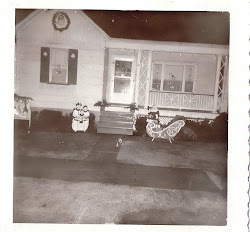 I have been re-decorating the house for Winter and Valentine's Day. And also my post on Valentines in the Kitchen, please click HERE. 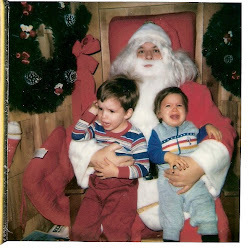 That about wraps up the Christmas Season here at A Debbie-Dabble Christmas. 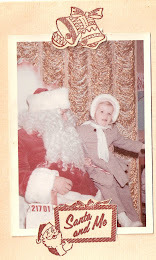 I hope to post every Rudolph's Day during the year but I can't promise anything!! 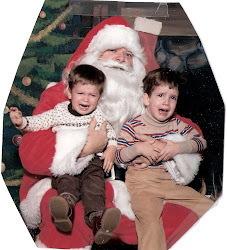 It was a great holiday season!! And I want to THANK YOU for spending the time that you did visiting me here!! 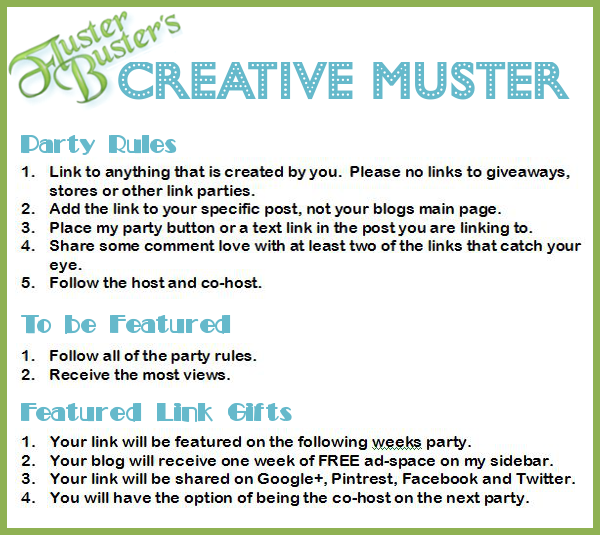 Co Hosting Fluster's Creative Muster Linky Party!! 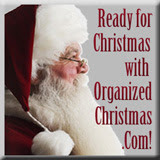 I'm so excited because my post, Anne Marie's Home Tour and 101 lb. Weight Loss, is this week's feature on Fluster's Creative Muster Linky Party!!! This post showcased my good friend Anne Marie's beautiful home decorated for Christmas and I also got to share with you her 101 pound Weight Loss in less than a year!!! I still can not get over it!! This means I get to co-host the party this week!!! 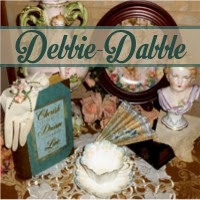 A Debbie-Dabble Christmas is my Christmas blog and my regular blog is Debbie-Dabble! I hope you will stop by and visit both when time permits!! Thanks, Robin, so much for this honor!! She was even kind enough to make me a Button for this Blog!! Thank You!! It is the first time I am Co-Hosting a Party in 4 years of Blogging!! 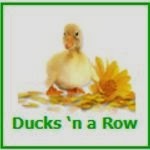 Last weeks most viewed link was a Home Tour & 101 lb. 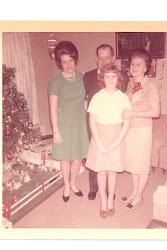 Weight Loss from A Debbie-Dabble Christmas. I'm always amazed by the transformation when someone has lost that much weight. I guess that's why Biggest Loser is such a hit. Anne Marie's Home Tour and Her 101 Pound Weight Loss!!!! 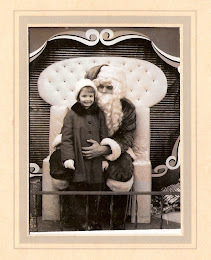 Christmas in the Stores: Country Folk Store Tour, Part 2, from Jan. 5th's Anything Blue Party!! Thanks so much , Kathryn!! Thanks so much , Sinea! I also want to Thanks Kathy over at A Delightsome Life , for featuring my post. Wanna See What We Bought for Christmas #2? from last week's Home and Garden Party!! 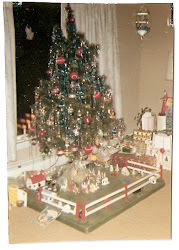 Anne Marie changes her Christmas Decor yearly and at the end of this post, I will have links to what her home looked like over the last several years decorated for Christmas. 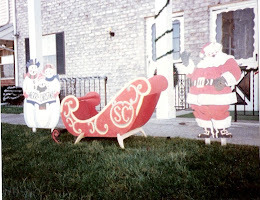 This year, she chose a Pink, White and Silver Color Theme for her Christmas decor. 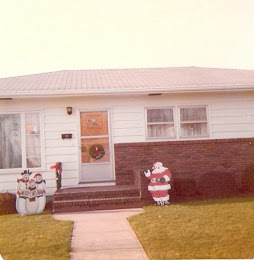 If you have not seen Anne Marie's Home before, Tony painted the stripes on those walls!! A simple white Tree with nothing but pink birds on it placed in a suitcase painted pink!! I love this idea and I think I will get out an old avocado green suitcase that I have wanted to to something with!! That is one big dome!!! Can you believe it was only $30.00 ?????? Anne Marie created the stained glass effect on those windows using Gallery Glass!! I just LOVE this fireplace!! I bought 2 gold ones and a white one too!! This lovely piece was only $30.00!! And what a wonderful surprise to find this calling card inside of it!! Don't you just love this antique Canister Set!!! There is a full Bath downstairs and upstairs in the house as the house once had an apartment upstairs and downstairs. The downstairs Bath is called Tony's Bathroom!! Anne Marie dressed up the towel a bit!! And now you know I have to show you the house in Candlelight!!! And now I want to introduce you to my dear and amazing Friend, Anne Marie!! She told me that when she saw this picture, she knew she had to lose weight. She set her goal at 100 pounds!!!! AND SHE REACHED HER GOAL AND LOST 101 POUNDS IN LESS THAN A YEAR!!!!!!!! She did it with Weight Watchers!! I think she should be in a Weight Watcher's Advertisement, don't you??????? I still have 20 pounds more to go before I reach my Goal and Anne Marie is my inspiration to reach that Goal!! Looking at these pictures made me realize that I need to go and buy clothes that fit me and get rid of my clothes that are too big!! And yet, I think he took the best photo of us together!! Like I said,,,,,, He seldom uses the camera!! 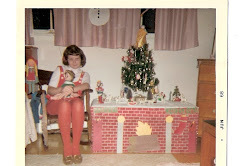 I hope you liked my tour of Anne Marie's Christmas Home for this year! !